Constituents: mucilage, alkaloid, saponins, tannin (especially in the leaf), zinc, potassium, calcium. Coltsfoot is used as a respiratory disinfectant, expectorant, and cough suppressant and makes an effective tea to clear congestion. 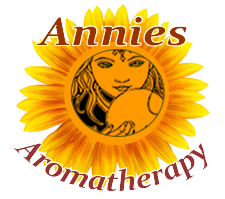 Since the days of ancient Greece and Rome coltsfoot has been used to relieve asthma and bronchial congestion. At our house, we consider a keeping a store of dried coltsfoot on hand a good practice for those winter coughs and colds that are bound to come. Coltsfoot tea with honey is one of my all time favorite winter and flu season tisanes. This is one of the most effective cold herbs I have tried. Still, I keep it for reserved for short term use because of the presence of the very small amounts of (pyrrolizidine alkaloids). 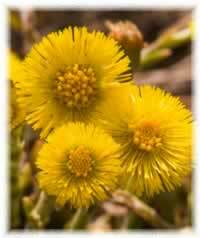 Preparation Methods & Dosage :Coltsfoot is most often taken in teas or in cough syrups. Coltsfoot is also one of the herbs traditionally smoked, and may be of help as a transition those who wish to quit smoking tobacco. Colts Foot Side Effects: Keep it for reserved for short term use. The presence of the very small amounts of (pyrrolizidine alkaloids)in coltsfoot caution the wise against over consumption. Moderate use in tea form is considered safe by most herbalists, but you may wish to form your own opinion. . This hardy perennial grows wild in wet areas, along stream banks or pastures and in almost any loamy and limestone soil. 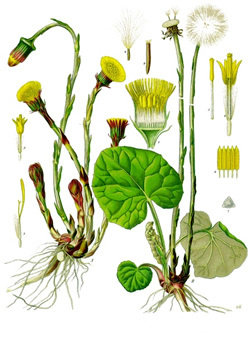 The botanical name, Tussilago means cough dispeller and common name coltsfoot refers to the shape of the round leaves. Coltsfoot, unlike most plants does not flower while it is in leaf. The large radial yellow blossoms come in early spring, and the cordate shaped leaves when the flowers begin to wilt.